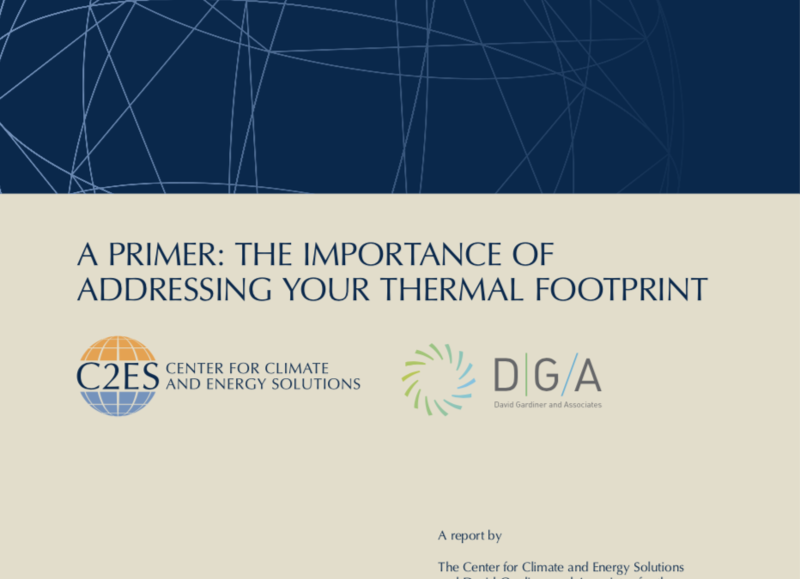 In a report to the Renewable Thermal Collaborative (RTC), the Center for Climate and Energy Solutions (C2ES) and David Gardiner and Associates published a report that is intended to help commercial, industrial, and institutional (C&I) organizations set targets for renewable thermal energy usage. Drawing on interviews with leaders on the energy consumer side and case studies from renewable thermal energy suppliers, readers will find wide-ranging guidance, key considerations, and emerging best practices that can help their organizations understand specific thermal opportunities and establish goals that align with their objectives. Voluntary C&I renewable electricity procurements have been one of the most exciting trends of the past ten years. The market has moved from cautious initial efforts and innovations to a rapidly-expanding domestic and global market that is changing the global power generation portfolio. Renewable thermal energy offers the same opportunities for innovation, for collaboration, for expansion of leading practices, and for changing the way businesses and institutions create energy.